When I started my blog, I did the classic "add images from computer" thing. As everyone who uses Blogger will know, the large size is actually freaking tiny. I looked at all these blogs with lovely huge images and wondered how they did it. So I set about teaching myself. Now I've seen quite a few people asking how to do this so I thought I would post a little tutorial. Teaching is my life, after all, so I should be able to make this pretty easy to follow. Right, first things first, you need to check the width of your margins. 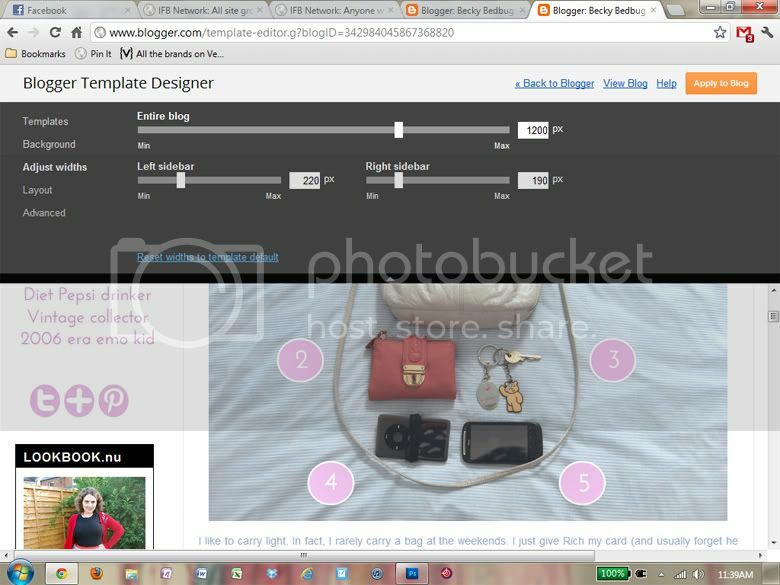 On the Blogger Dashboard, go to design> template designer> adjust widths. As you can see, my entire blog is 1200px wide. This includes the 220px left sidebar and 190px right sidebar. If I take away my sidebars from the entire blog (1200- 220- 190), I am left with 790. This means that the main column of my blog, the middle part where I'll put my photos, is 790px. 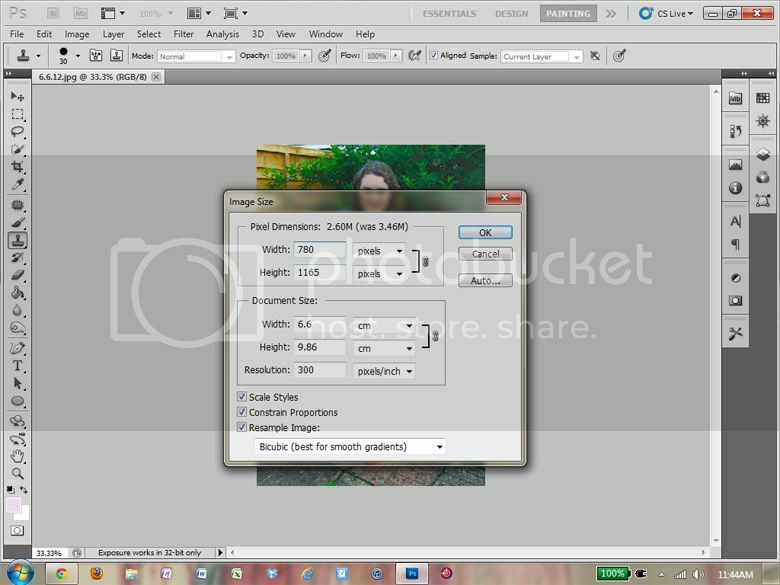 Now I am going to go to Photoshop (you can use any editing software) and resize my image. 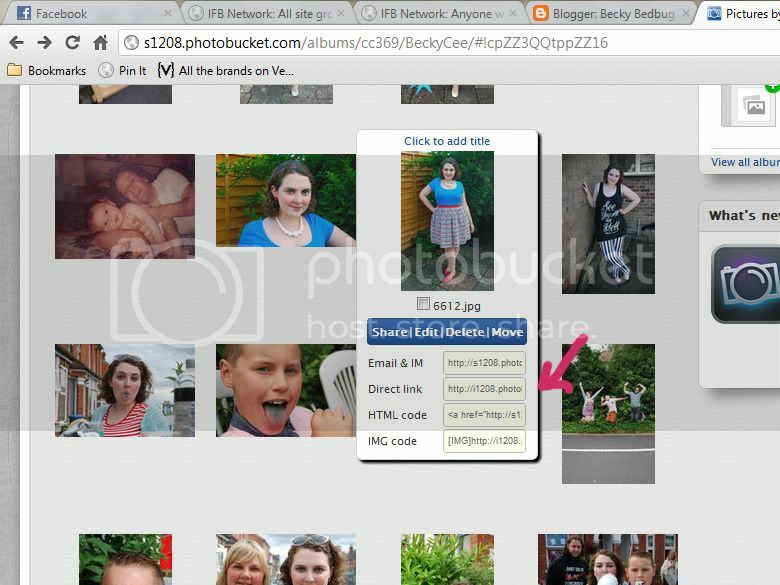 I know that I have 790px to work with so I am going to make my photo slightly smaller at 780px. Ok, now that I have saved the smaller version of my image, I head over to Photobucket (again, you can use whichever platform you prefer) and upload my image as usual. Then I want to copy the "direct link" code. 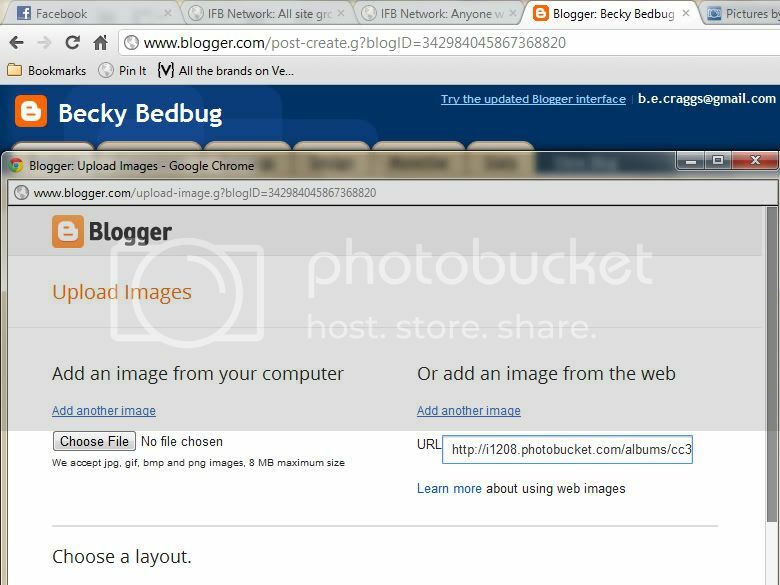 Back in Blogger, on my posting page, I click the usual image button (the one above the text box with a little landscape on, in case you're a complete beginner to blogging) and paste my direct link into the "add an image from the web" box. Click upload and hey presto! Big photo!